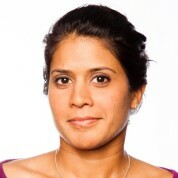 Dr. Asha de Vos is a Sri Lankan marine biologist and educator. She is the first Sri Lankan to obtain a PhD in a field related to marine mammal research and established the first long-term study on blue whales of the Northern Indian Ocean. She has published several key research publications on Sri Lankan blue whales, which have led to this population being designated as a species in urgent need of conservation research by the InternationalWhaling Commission (IWC). Her pioneering work has been showcased internationally by Channel 7 Australia (2010), the BBC (2010), the New York Times (2012), CNN (2012), WIRED UK (2014), the New Scientist (2014), TED (2015) and Grist (2015). She is also a guest blogger for National Geographic. Asha is an invited member of the IUCN Species Survival Commission’s Cetacean Specialist Group, a TED Senior Fellow, a Duke University Global Fellow in Marine Conservation, an Ocean Conservation Fellow at the New England Aquarium and a Young Global Leader of the World Economic Forum. The Global Teacher Prize encompasses two things I firmly believe are necessary if we are to leave this world a better place than we found it - passion and education. Dedicated teachers who truly care have a huge role to play in moulding the next generation of heroes and if we don’t identify, exemplify and celebrate these incredible individuals, it is our loss.